I had a professor in college once who used to say "I don't know much, but I read a lot." I do read a good bit, although not as much as I would like or as much as I did in years past. Recently I have been reading Mad Man Knitting and he is having some health issues. I am finding myself staring down a similar path. I have no health insurance, but I have stress in abundance. I have a lot of extra weight that I carry, and I do not care for myself the way I should. I do not want to be selfish, but it is more like putting on your own oxygen mask on a plane before someone else's. You cannot pour water from an empty cup. Since we are embarking on a new year soon, I am thinking forward. 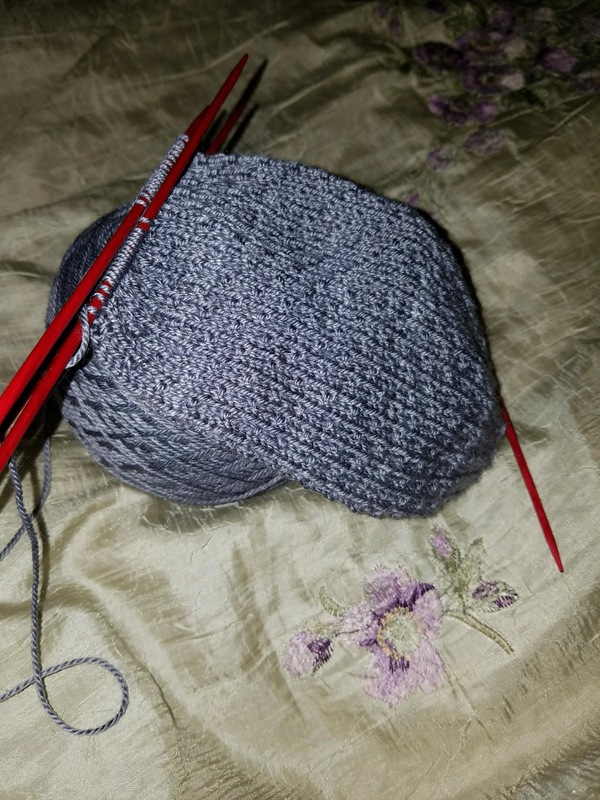 I started on the last pair of socks for Christmas. I believe it is in Sweet Georgia yarn, in Slate. I have finished the heel now, which took me about 3 times. I am working on the foot, and hope to be done by tomorrow, but I am getting sidetracked with snow. I want to make warm things, like blankets for my children. I should focus on Christmas knitting but I sometimes lack some willpower.